The Guest Bedroom - this is the space where you want your friends and family to feel at home yet you don’t want to spend big money on a room that will only be used a few times a year. There are affordable solutions that will leave your guests impressed but not make your wallet depressed. Here are some of my favorite affordable beds for your guest room so your loved ones will never need a hotel! The Hamilton Queen Bed is the perfect bed for a spare room. With its impressive price of $399 this bed is sturdy with its grand pillar posts and strong body. 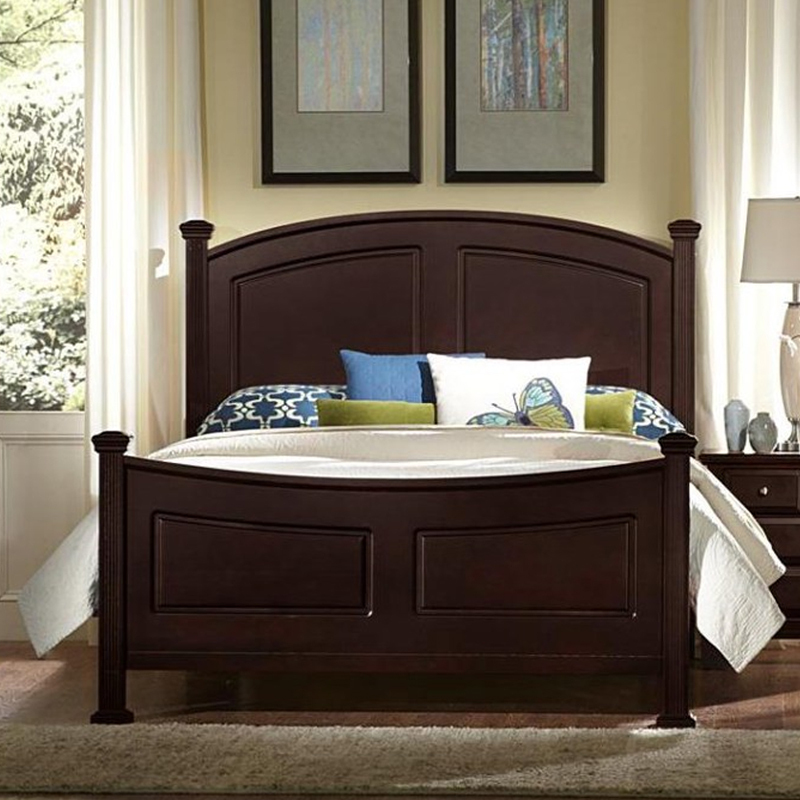 This bed also comes with a storage footboard option which is a great way to save on purchasing an additional dresser. Made from oak veneers and selected hardwoods this shaker inspired bed will allow your guest to have a grand stay in your home. Treat your company like royalty by giving them the pleasure to sleep in the Benicia Upholstered Bed. We are in love with its demi-wing style upholstered bed. This bed's beautiful tufted detailing gives the room an elegant style. Upholstered beds are a popular trend that's here to stay and so easy to complement with your choice of any case goods! Available for only $532 in a queen size and $594 in a king, you can build the perfect guestroom on a budget. Proudly made In the USA the Transitions Bed is the perfect mix of contemporary and a traditional styles (hence the name). Its large wide wooden panel headboard gives off the perfect grand appeal. This bed is available for $425 in many different finishes. This is sure to catch your guests eye when they walk into the room. Perhaps you don’t have a spare room that you can transform into a guest bedroom but your company still need a place to sleep. The Zeth Queen Sleeper Sofa is available for $699. Save space and money with this fabulous two in one sleeper sofa. Not only will it make a great place to sleep it’s also a stunning sofa. Its 82” width is great for downsized living but still maintains the comfort of a bigger sofa. Where your loved one’s sleep in your home is very important. You don’t have to spend a fortunate to obtain a bed that will leave your guest sleeping sweet and sound. Get the look you want along with comfort your guest needs at an affordable price. Leave your guests wanting to come back again and again with these afforable options. Shop affordable beds and sleeper sofas at Belfortfurniture.com. Located in Sterling Virginia, we have over 100 bedrooms and 300 sofas on display. Once you come to our showroom it will be impossible to leave without feeling inspired to design the guestroom you’ve always wanted.